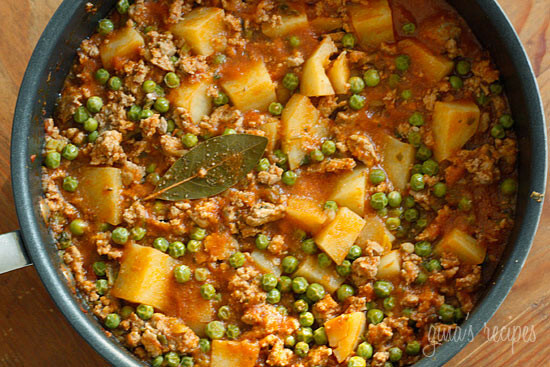 Spring peas, ground turkey, cumin, cilantro and potatoes come together to create this quick comforting weeknight dish. Don’t you love it with you whip something up from the fridge and it turns out incredible? That’s exactly what happened here. We served this over rice and the portions were extremely generous. A huge hit with everyone in my house ranging from ages one to adult. Cover and simmer over medium-low heat until potatoes are cooked through, about 25 minutes stirring occasionally. Add more water if needed. Remove bay leaf and serve over rice. Easy recipe but definitely not going to have the potatoes cooked in 25 minutes unless you have the consistency of soup. What I mean by that is if you want it to be thicker then you will be simmering the dish for closer to 45 minutes. And I started off with about a cup of water and added more here and there throughout the cooking process. Absolutely delicious! 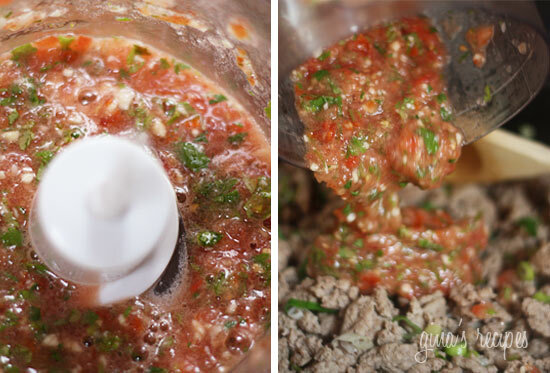 My husband and toddlers love this recipe and it has definitely become one of our favorites. I had little time and ground turkey to use up, so I made this with a can of roasted diced tomatoes and spaghetti sauce instead and it was still delicious. I used white sweet potatoes instead of regular and that really made the dish. Also, instead of serving it over rice, I just doubled the potatoes. Fed a family of four. I made this a few days ago and ate it for 3 days. Really good recipe. I’ll be making this again very soon. Thanks. Love the way this came out. My only complaint is that it took longer than what the directions said to make. Be prepared for the cooking time to take a little longer due to the potatoes. Other than that it was delicious! Very yummy! I read one of the comments where someone had used sweet potato and not having white potatoes I used a sweet potato. Worked very well. A quick to make dinner that is healthy. Could someone confirm if this is 5 Freestyle points per serving or is it 1 Freestyle post (like some of the other comments above mentioned)? Looking to meal prep for the week and this seems like a good one! Thanks! No problem, this is 5 per serving including only what is listed under ingredients. It’s not the “prettiest” dish, but the flavors are amazing. I think fresh garlic is the key. 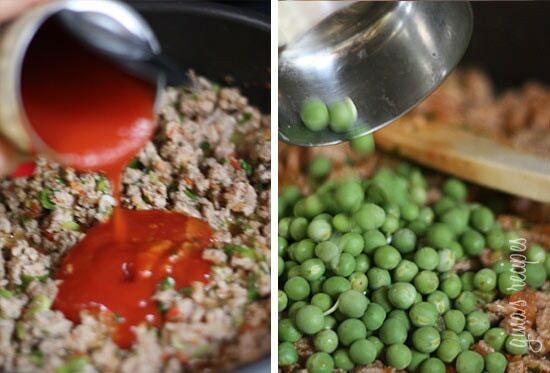 If you are using frozen peas, I would recommend adding them later (as they get a little over cooked after 25 minutes). I will definitely make this again. I made a few minor adjustments, but this recipe was delicious and full of flavor. I used a sweet potato instead of regular potato. I used 2 1/2 tsp cumin. 1 tsp to brown the meat and the rest when it was all simmering together. I also added 1/2 tsp cayenne pepper for some heat. Frozen peas were also used. This is a definite make again. Easy, budget friendly and delicious! I was out of cumin so I used a curry powder. Took much longer than 25 to cook my potatoes. Next time I will just cut them to much smaller dice. Tasted great! I would love to make this in my instant pot. Any tips on how I can modify please? Such a fan of your recipes. Your easy bagels are my new favorite. I was wondering if you think I can make this recipe with my instant pot? If so, how? Any help would be greatly appreciated. When I calculated with the new Freestyle points, I came up with around 1, yes, I said ONE smart point per serving!! 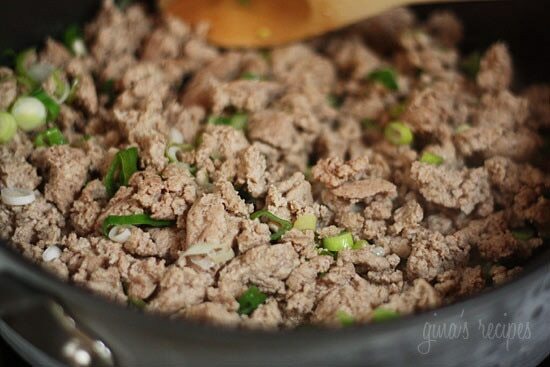 Couple changes I made: I doubled the recipe and used 98% ff ground turkey. I doubled all the ingredients except the potato. I had only one large potato, so I used it. 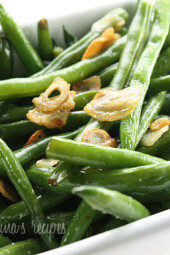 Also added, fresh green beans. For a little heat, I used red pepper powder (gochugaru). My whole family absolutely loved this recipe. 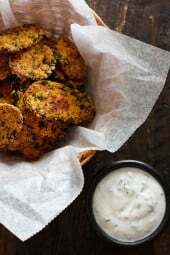 We served with basmati rice, and a ZERO SP raita (made with nonfat plain greek yogurt, cucumber, a squeeze of lemon, and several dashes of cumin and salt). Rice smart points not added into recipe. This was delicious, even with the changes I had to make. I didn’t have cilantro and I ran out of frozen peas. I used parsley and frozen spinach and I loved it! Next time I’ll add some crushed red pepper. Just made this! Loved that it was quick and simple. I’m not a pea fan so I used green beans oh and I used ground beef because that’s what I had. When I add this recipe to My Fitness Pal it comes up as 1200 calories! I’m not sure what I’m doing wrong if anything. Can anyone explain to me why this is the case? You have to change the number of servings in My Fitness Pal. 1200+ cal is for the entire dish, not for one serving. Quick easy and healthy! 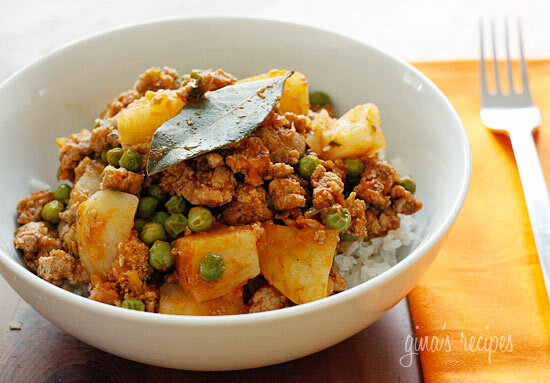 I like this with a little rice, some tabasco sauce, and some yogurt for an indian style meal that is still healthy 🙂 A great quick and easy weeknight option! I come up with 259 kcal on my Fitness Pal. Not a huge discrepancy, but the ingredients match completely, so it makes me wonder why the difference. Is weight watchers not counting one of the ingredients? Made this last night with ground white meat chicken! Excellent…with definitely make it again! My boyfriend won’t eat peas or edamame. Any suggestions of what else I could use instead of the peas? This was my first ever skinny taste recipe adventure. Really like that it’s a healthy beef alternative. Needed to chop taters smaller, used frozen peas and added more cumin and some curry powder. Pretty happy with myself and how it turned out. Thanks for the great recipe. I like all of the ingredients, but had to add salt & a little bit of cream (about 1/3 cup) to make it more flavorful. I also cut the potatoes smaller than 1 inch & they weren’t done after 30 minutes. Gina, I made this today with frozen edamame and 1/4 tsp turmeric. My whole family loved it! Thanks for all the great recipes! This is one of my go-to favorites! It’s simple and makes great lunches for the week. I usually only use one red potato to keep the carbs low. I also add a little cayenne to give it a tiny kick and some turmeric because of all the great health benefits! Love your recipes, Gina!! How much turmeric do you put in? Would like to add that in. Thanks! 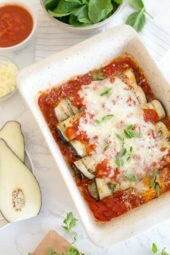 Pingback: Easy and Healthy Recipes (that are also delicious!) – New Era of Sarah! I LOVE THIS RECIPE. It’s so easy, healthy, and delicious. Perfect for lunch or dinner. Just made this last night, and I am so glad I did! Comforting without being heavy. Will definitely make again in the future! Thank you Gina for so many winning (and easy) recipes. I’ve been cooking this recipe since the original posting every few months. It’s amazing. Follow the recipe exactly. I also use hot sauce to kick up the spice a notch when ready to serve. This has become one of my favorite things to meal prep for my lunches during the week. It's very versatile and you can really add anything to it that you want. Not to mention is tastes great! Hi Gina. Is this meal freezer friendly? Thanks. I wasn't expecting much when I saw this recipe but I had all of the ingredients on hand so decided to give it a go. I'm so glad I did! 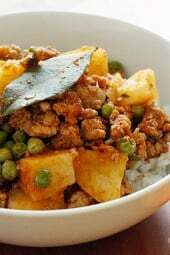 It reminded me of a nice hearty stew without the beef yet very filling. I'm going to double this recipe next time. We loved it! !